Wow, we have a lot of new mobile phones to expect this October. It's the start of the fourth quarter of the year so expect we're expecting a lot of new releases. Here are some of them. For those who have the Nokia N97 and is willing to give Nokia a second chance, the Nokia N900 definitely seems like a powerhouse of a phone. It's running a Maemo OS so hopefully, any bugs and problems you encountered with the N97 won't be found here. 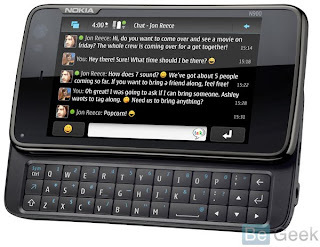 To get an overview of this mobile phone, check out my Nokia N900 preview. It's expected to be released this October at a price of around €500. Motorola is trying to get back on the mobile phone game with the introduction of their first Android phone: the Motorola DEXT. For those who wants to try out Android but is waiting for the next Android phone with QWERTY keypad, well, Motorola just answered your prayers. Orange is expected to launch the Motorola DEXT this October and you can grab this free on contract if you agree to be strapped to the company for two years. 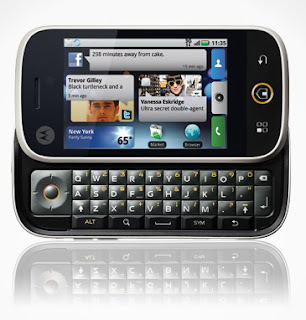 The LG BL40 is the epitome of a "candybar" design because it actually looks like a chocolate bar. If you want to grab this strange mobile phone, mobiles.co.uk already has this for pre-order and stocks are expected to arrive early October. Okay, so 8 megapixel phones are so yesterday. Samsung already has a 12 megapixel mobile phone out so what makes the Sony Ericsson Aino tempting? 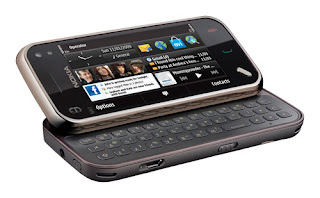 The Sony Ericsson Aino is a slider/touchscreen phone with a 3.0 inch capacitive screen. It has a 8 megapixel camera, accelerometer, bluetooth, WiFi, and GPS. It seems ready to take over the Samsung Tocco Ultra Touch's market share and considering that the latter doesn't have WiFi, some people might be inclined to get the Aino. The Sony Ericsson Aino is available for pre-order at mobiles.co.uk and stocks are expected to arrive Oct. 5th. 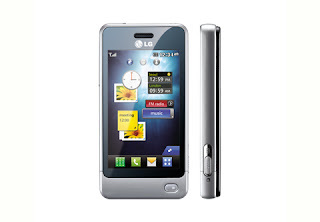 The LG GM750 is a Vodafone exclusive and will be touting Windows Mobile 6.5 once it's released. Looks like a possible competitor of the Samsung Omnia 2 or the HTC Diamond2 considering all three mobile phones has almost the same specs. The LG GM750 will have 3G/HSDPA, 3 inch touchscreen, 5 megapixel camera, 528MHz processor, microSD slot, WiFi, Bluetooth, and GPS. Again, expected release date is this October. Tree huggers celebrate! One of the most gorgeous eco-friendly mobile phones would soon be available this October: The Samsung Blue Earth. The Blue Earth has a solar back panel and uses Samsung's TouchWiz interface. The LG GD510 has only been recently announced and according to LG's pres release, we'll see this mobile phone around October. There's not much details about the specs except that it has 3.0 inch screen, 3G, Bluetooth and FM radio.